Anxiety, Stress, Panic Disorder, Phobias, Social Anxiety, OCD, PTSD, Addictions, Relationship Problems, Bereavement, Low Self-Esteem and Depression. The research evidence shows that Cognitive Behavioural Therapy (CBT) is the most effective treatment for a wide range of psychological and emotional problems. This is why CBT is recommended by the National institute of Health and Care Excellence (NICE). �	Fast access to Cognitive Behavioural Therapy without waiting lists or red-tape. �	Fully qualified and BABCP accredited Cognitive Behavioural Therapists. �	Free initial telephone consultations. �	A free initial assessment report. �	Expertise in the treatment of a wide range of anxiety and mood disorders. 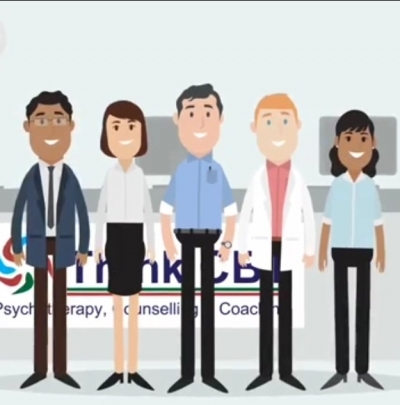 You can find out about our practice locations by visiting thinkcbt.com/fees-therapy-cbt. Call us on 01732 808 626 or email info@thinkcbt.comm for a free and confidential discussion.